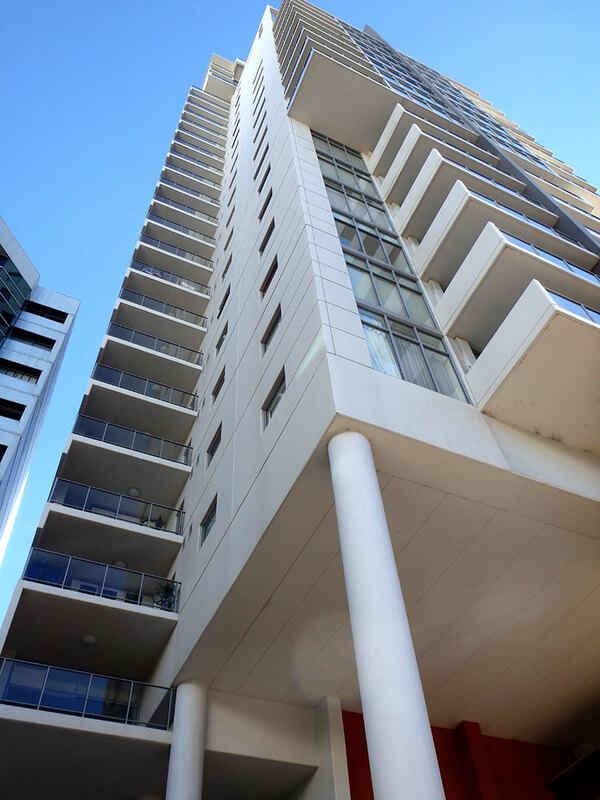 Elevation has been designed for those who expect the very best in their home from the stunning Swan River and city views and inspired modern interiors to a location that offers a variety of lifestyle options. 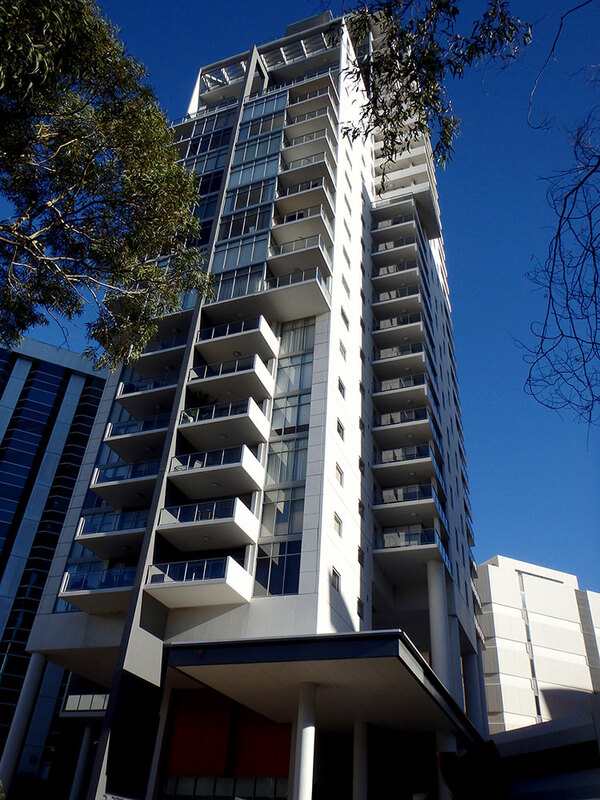 A sculptural masterpiece of presence, visibility and individuality, it combines clean lined modern design with unassuming luxury. 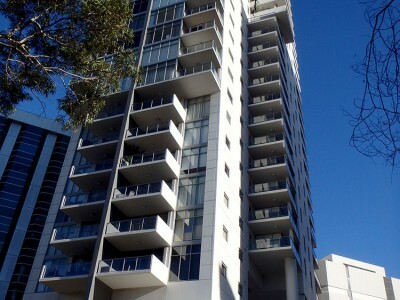 This apartment building is 29 storeys in height, with basement parking, function room, theatre room, gym, swimming pool and 25 levels of apartments. 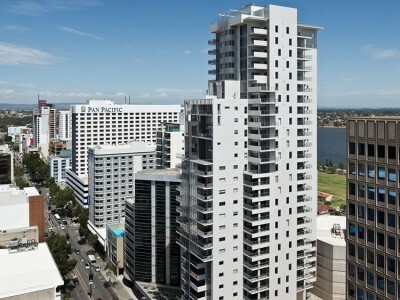 Reaching over 100m in to the Perth skyline, Elevation consists of 138 apartments spanning over 25 levels, offering stunning views from all aspects. 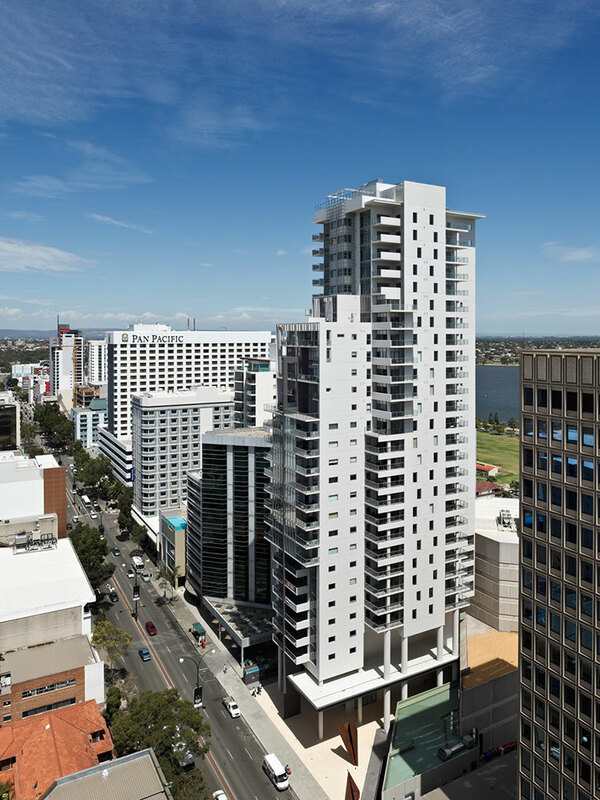 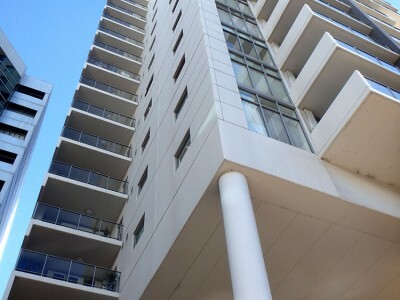 North facing apartments offer district and city views whilst South and South West apartments overlook the Swan River, Kings Park, South Perth to Applecross and glimpses of the Indian Ocean. 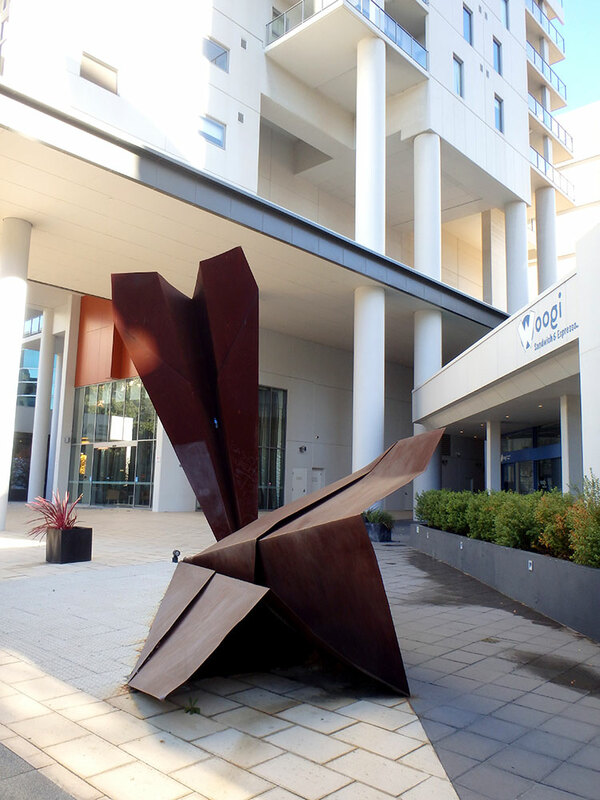 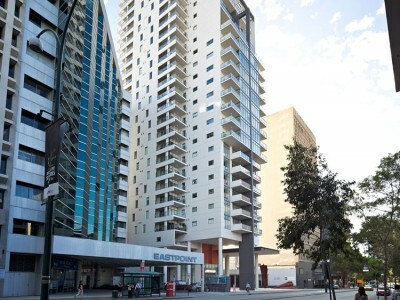 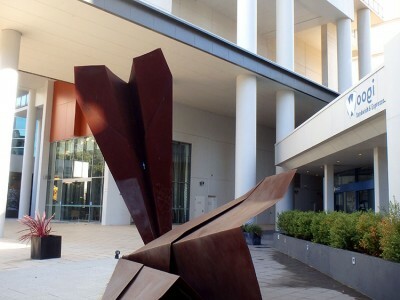 The building was constructed in the forecourt of the existing building at 237 Adelaide Terrace, adding unique compliance and constructability issues. 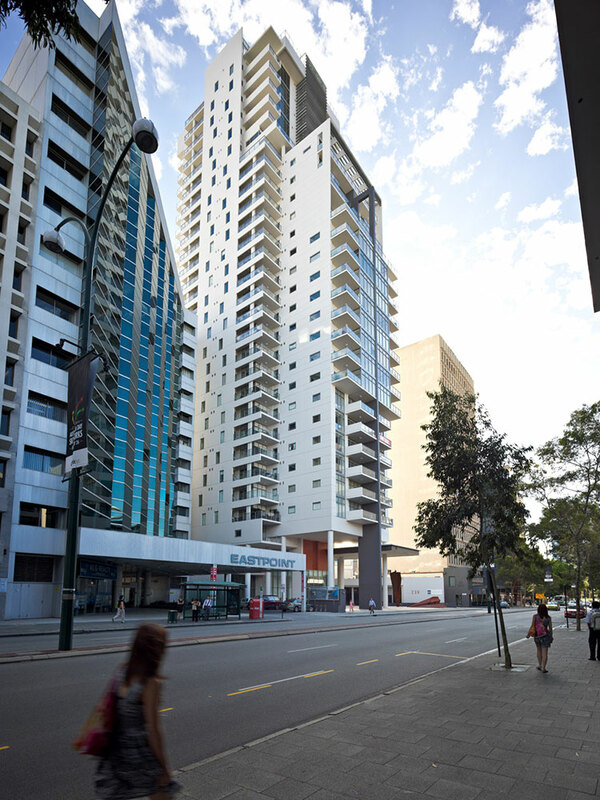 The development covers the entire footprint of the site, wedged in between three existing office buildings and Adelaide Terrace, and included two levels of underground parking and a level of parking within the adjacent GHD House.